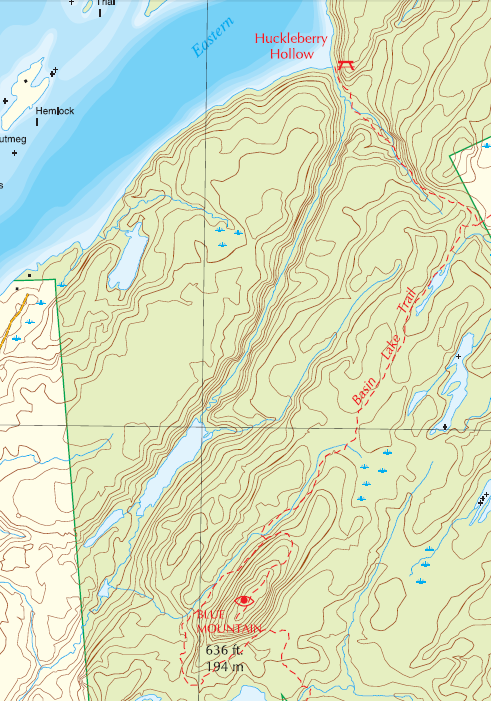 The longest trail in the Park, the Tallow Rock Bay loop, is on the west side, and from the trail head, (museum), is approximately 14 kilometres end to end. It is in more remote areas and rates a difficult by park staff. While hiking in the park, you can expect to enjoy breathtaking views of Charleston Lake, ancient aboriginal cave dwellings, unique rock and forest settings, and well maintained footpaths. Come and enjoy. Interpretive Trail Guides are available at the Discovery Centre , Gatehouse (, and Park Office. All of our trails are also highlighted in the Ontario Trails Council Trail Guide. Trail Guide: Full trail guide available for download. Click here.